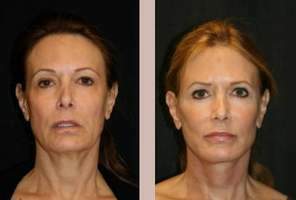 There's no way to completely prevent facial veins as they are commonly a result of a genetic disposition. However, by following these steps you can decrease your chances of developing them or further aggravating existing facial veins. Since sun damage is a major culprit of facial veins it is important to keep yourself well protected when outside. 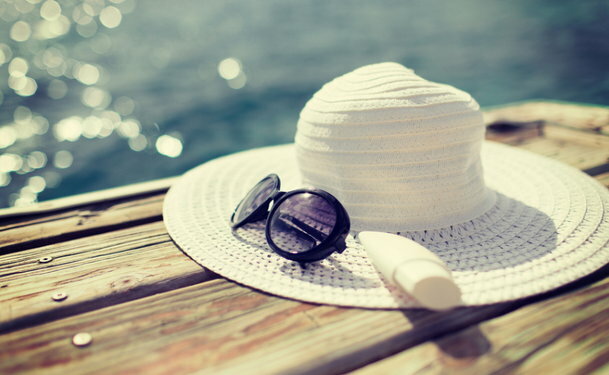 For the best protection wear a sunscreen with at least an SPF of 30, put on a hat, and wear light colored clothing if possible on those really hot days. Rosacea is a skin condition that causes overall redness and blushing of the face. Treating your rosacea early on is the best way to decrease your chances of developing facial veins. When a certain amount of pressure is put on the face, facial veins can occur. It is important to be gentle when washing your skin because scrubbing too hard can lead to unsightly veins. Make sure to also use warm water when cleansing your skin as oppose to hot water which can damage the skin. Although alcohol is not a direct cause of facial veins it can put you at risk of developing them. Drinking high amounts of alcohol can dramatically increase your blood pressure which makes it more difficult for the veins to push the blood back to the heart. This can lead to valve dysfunction which in turn, leads to facial veins. By following these guidelines you can help maintain healthy, beautiful skin for years to come.